Mark this date on your calendars – Saturday, May 19!!! This is the date of our 2018 Plant Sale. Another fabulous sale is in the works for 2018. Again this year, the location is Omemee Legion on main street Omemee. Doors open at 9am sharp – plan to come early. The sale of plants is usually wrapped up by 11am. We will have our usual great selection of perennials, vegetables (if all goes well, we will have our tomato plants available again this year,) and of course there are always offerings that are unusual and rare. 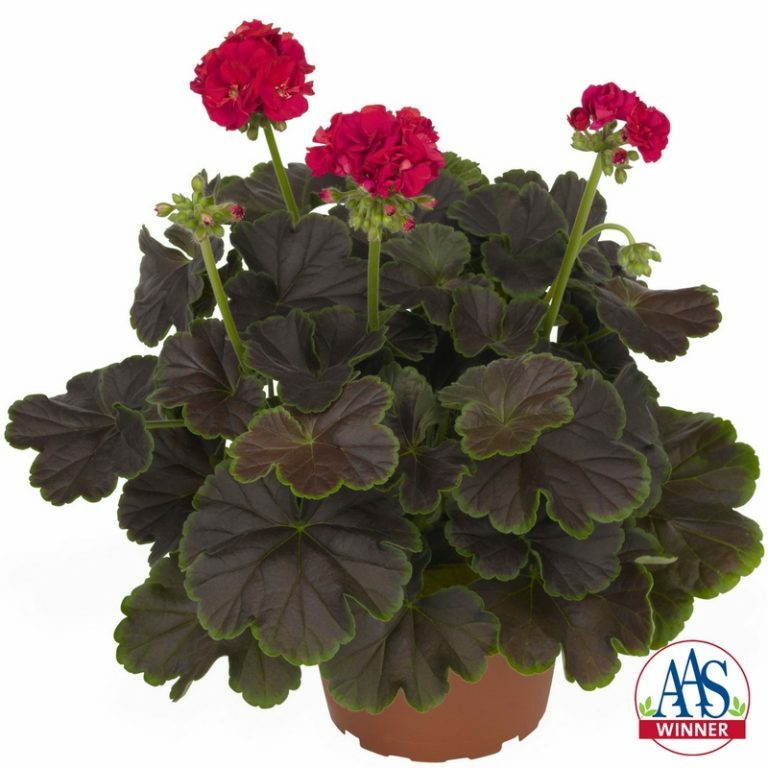 Our plants of the year for 2018 are two absolutely gorgeous geraniums! 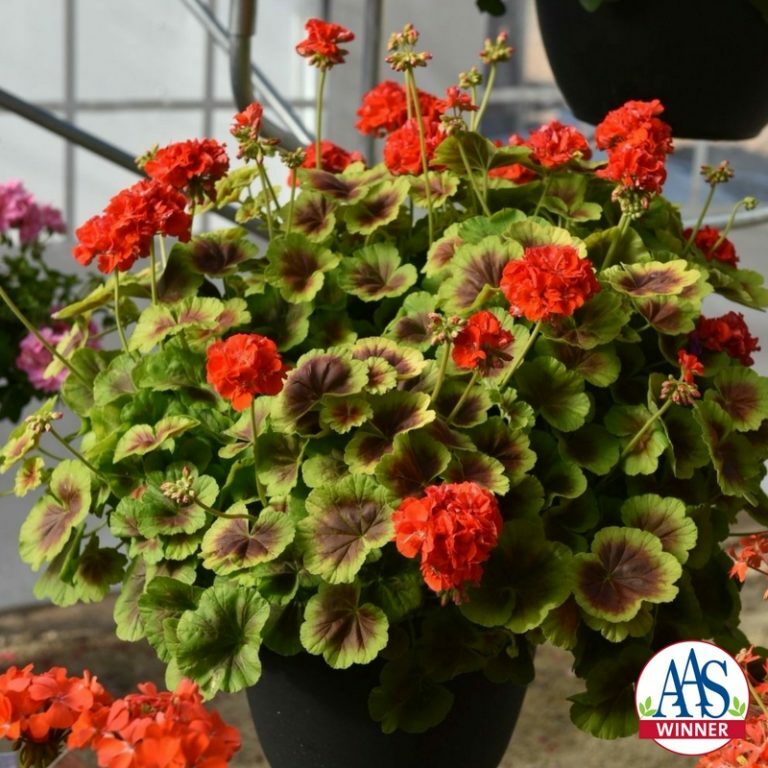 Both plants are heat tolerant and perfect for containers or garden beds – you are going to love them! !These geraniums are good bloomers,but it is their foliage that is going to knock your socks off!! 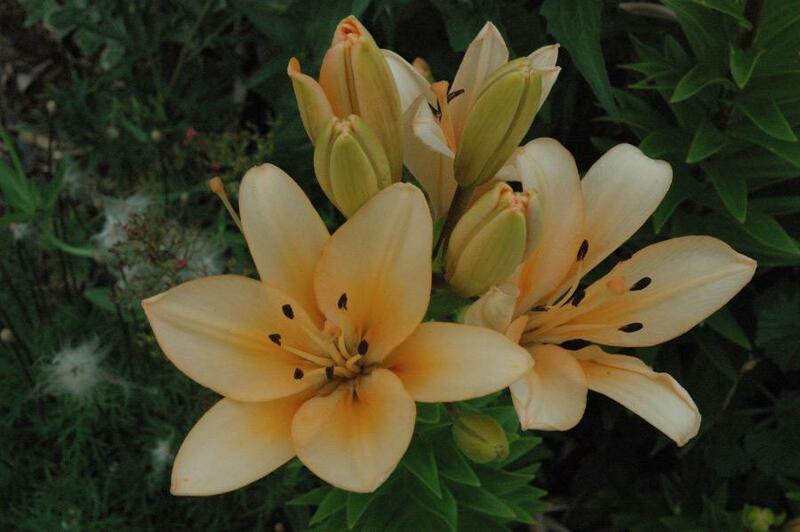 These plants are not readily available elsewhere, so be sure to come early and take some home. I love them in planters – make your containers stand out this year!! What a wonderful sale!! 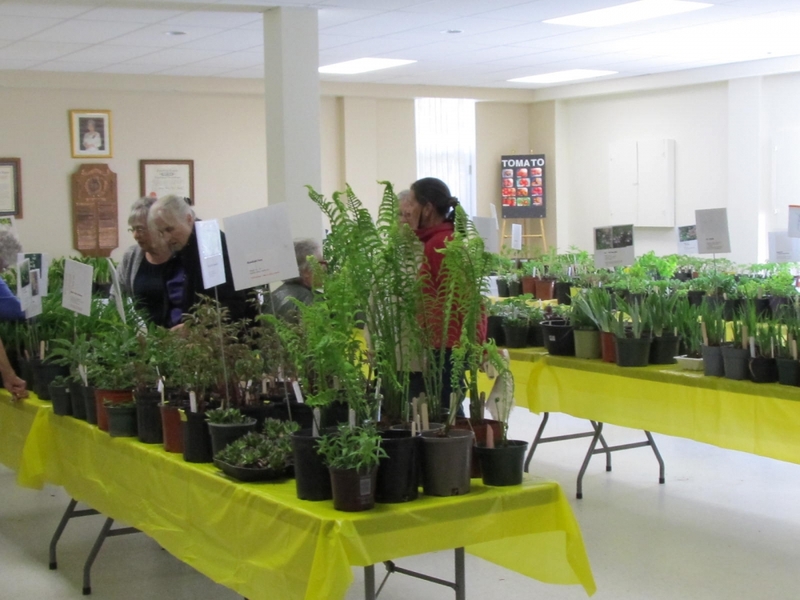 Omemee Blooms Garden Club once again held a very successful plant sale on May 19, at the Omemee Legion. There was an abundance of fabulous plants, and a bit of rain certainly did not dampen the spirits of the shoppers!! The doors opened at 9am sharp, and in they came! 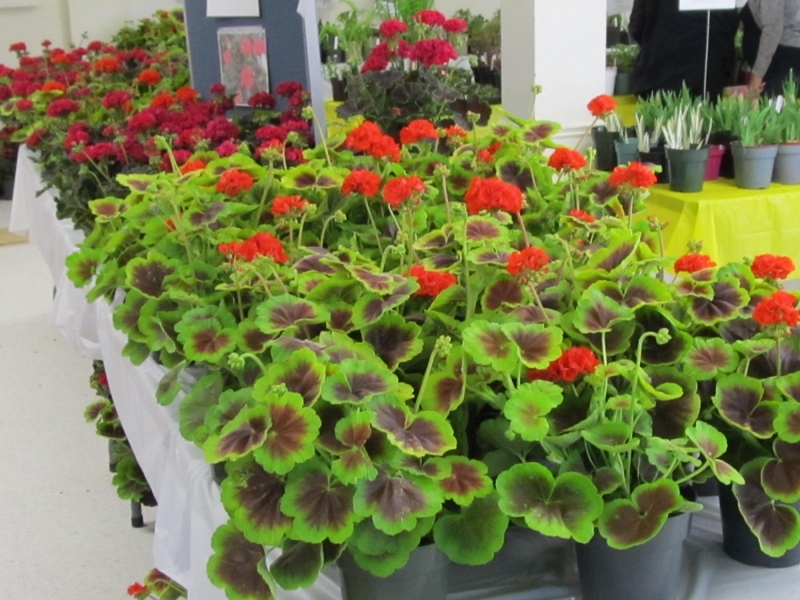 As usual, there was a great variety of perennials, annuals, grasses, house plants, shrubs and geraniums (our plants of the year were absolutely breathtaking.) As usual, the selection of heirloom tomatoes was next to none! Many hands make light work – thank you to all of the members who volunteered and made this sale another successful venture. 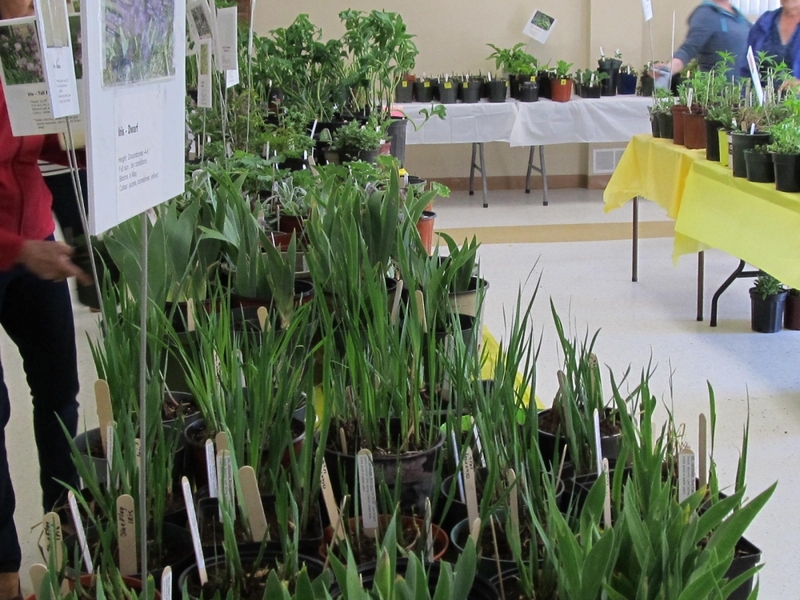 Money raised at this sale is used to cover the cost of our wonderful speakers, and also allows us to keep the planters and gardens in Omemee looking so beautiful. Looks like 2018 is going to be a great year for our club!!! 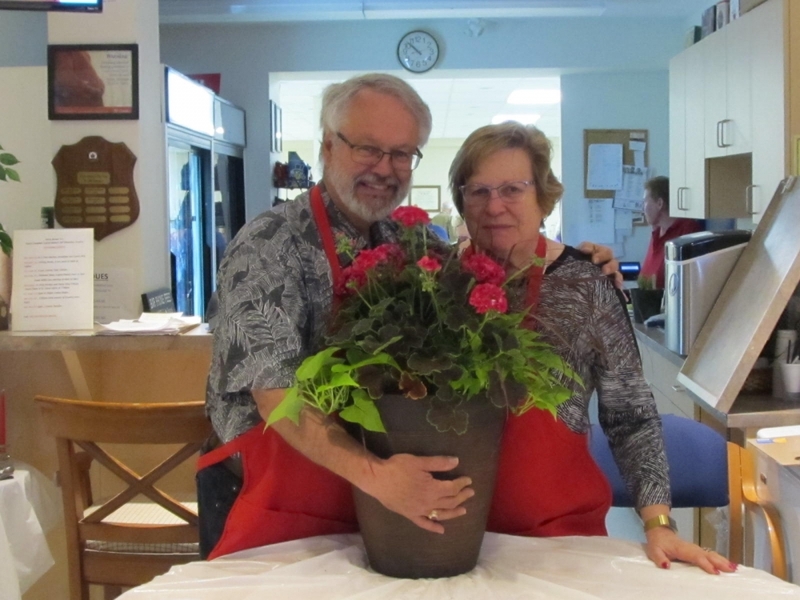 Gary and Dianne Westlake were the winners of our lovely planter raffle. Looking ahead, mark Saturday May 18 on your calendar – the 2019 sale!!! Well, the sale has come and gone, and what a sale it was!! Again this year the selection of plants was fantastic, and it didn’t take long for them to disappear. 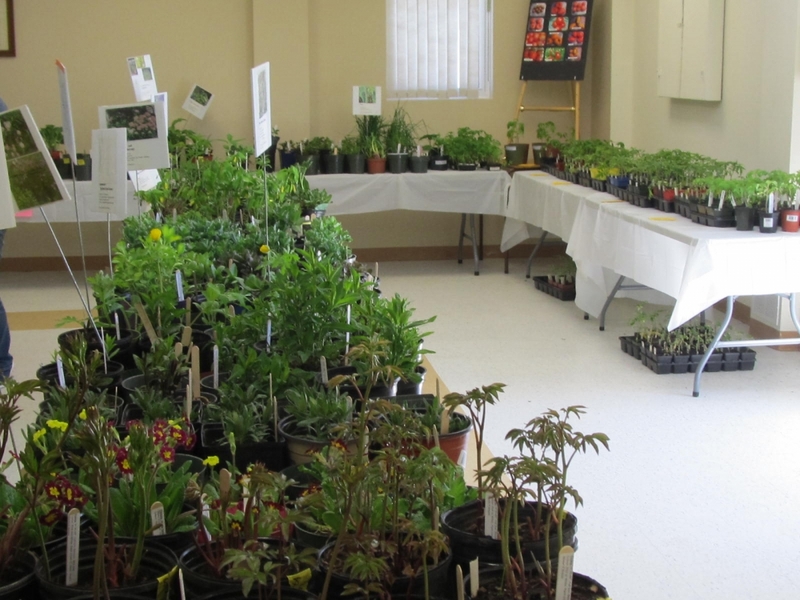 The members of Omemee Blooms Garden Club are proud to bring this sale to the public, and believe me, they all work hard. Thanks everyone! As well, thank you to the dozens upon dozens of people who arrive early to get the best selection – we love seeing that line! Thank you to all of our customers!! Plans are already underway for the 2018 sale. Mark this date on your calendar – May 19, 2018. Location again will be Omemee Legion, doors open 9am. 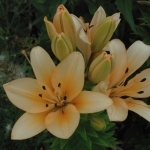 We are working on including a special feature plant – stay tuned!